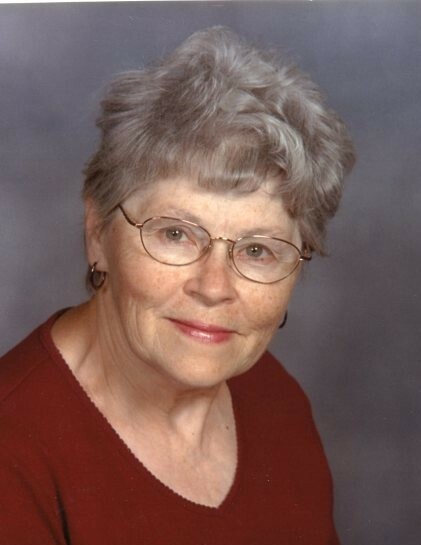 EmmaJean “Jean” Bowen, age 81 of Glenwood, died Wednesday, January 23, 2019 at Bethany on the Lake in Alexandria. A Celebration of her life will be held at 1:00 p.m. on Wednesday, January 30th, at the Hoplin-Hitchcock Funeral Home in Glenwood, with Pastor Laura Nordstrom officiating. Visitation will be one hour prior to the service. Inurnment will be in the spring at Grove Lake Cemetery. Arrangements are with the Hoplin-Hitchcock Funeral Home in Glenwood. EmmaJean Ann Ewing, daughter of Howard and Anna (Peacock) Ewing was born May 9, 1937, in Leven Township, Pope County, Minnesota. She grew up in Glenwood where she attended school and graduated from Glenwood High School in 1956. One week after graduation, on June 2, 1956, she married Ronald L. Bowen. They made their home in Nelson and Clarissa, Minnesota until the fall of 1975, when they moved back to Glenwood. Their marriage was blessed with five children: Rosalie, Ronald, Charles, Karla and David. Jean and Ronald shared 38 years of marriage before Ron passed away December 2, 1994. Jean was employed at several places over the years, including Fingerhut and Bellanca Aircraft in Alexandria, where she sewed the interiors of airplanes. She was a member of Glenwood United Parish, where she was active in the sewing and quilting groups. Jean was a very talented seamstress who loved to sew and make crafts. She was well known for making something out of nothing. She made several wedding dresses (including her own), as well as suits, and could create almost everything and anything. She made countless beautiful quilts for her family and friends. Along with sewing, Jean loved to bake and especially loved to spend time with her children, grandchildren and great-grandchildren. She will be remembered as a quiet, kind woman with a caring, loving heart. She will be deeply missed by her family and friends. Jean is survived by her children: David Bowen of Glenwood, Rosalie (Michael) Seaburg of West Plains, MO, and Karla (Mark) Banister of Starbuck; grandchildren: Zachary (Courtney) Banister, Nicholas (Stephanie) Seaburg, Mikhael (Rebecca) Seaburg, Aaron (Jordan) Banister and Alexis (Trenton) Berg; great-grandchildren: Paisleigh and Finn Banister, Kay (Dewayne) Cooper, Kyle, Aric and Hunter Seaburg, Lillian Banister, and Titan Berg; great-great grandchild Scarlett Cooper; several nieces, nephews, other relatives and friends. She is preceded in death by her parents; husband, Ronald L. Bowen; sons: Ronald M. Bowen and Charles H. Bowen; brother, Robert Ewing and sister-in-law, Delores Ewing. Jean’s family would like to thank the St. Croix hospice, especially her hospice nurse, Lucy, and the rest of the staff. They would also like to thank the caregivers at Bethany on the Lake. In lieu of flowers her family encourages you to make a donation to the charity of your choice in Jean’s name.